Hello all! 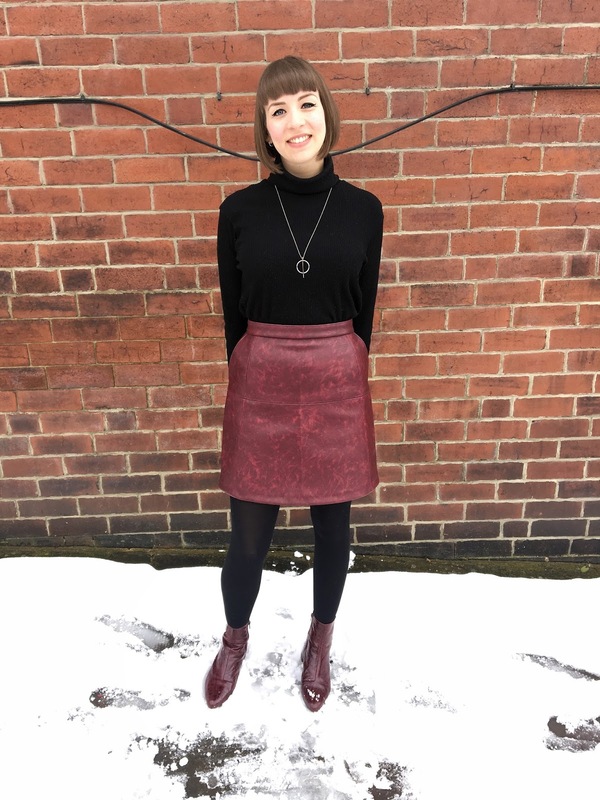 I'm excited to show and tell you about the fab experience I had sewing up the new Juliette Skirt ahead of it's launch as a part of Ready to Sew's latest collection of patterns! 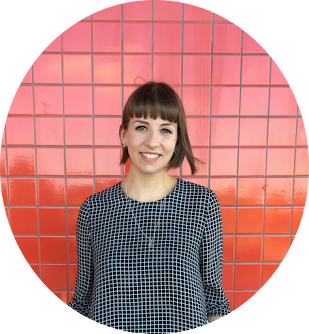 I've pattern-tested for Raphaëlle on a number of occasions and her patterns never disappoint. It's up against some stiff competition, but I think that Juliette, a high waisted, A-line mini skirt, perfectly suited to leather or faux leather/suede, might just be my favourite Ready to Sew make yet! My finished Ready to Sew Juliette! As with the previous Ready to Sew patterns I've made, the PDF pattern is layered, so you can select only your size or sizes before printing, and the instructions offer a playlist and click through tutorials to provide extra help for some of the trickier techniques. This pattern is marked as intermediate level, but if you're confident enough to try out a fair bit of topstitching then I'm sure it would be really manageable for an advanced beginner, particularly in a 'friendlier' fabric such as denim or cotton drill. A new and exciting option for Juliette is that the pattern offers half sizes! The half sizes go up in 2cm increments, making it so much easier to get the right fit. My waist measurement perfectly matched the size 39 (ordinarily I would've just sized up rather than have the confidence to make alterations) so I went with this. The pattern offers two suggested lay plans - one using only one fabric, and the other for a colour blocked version. 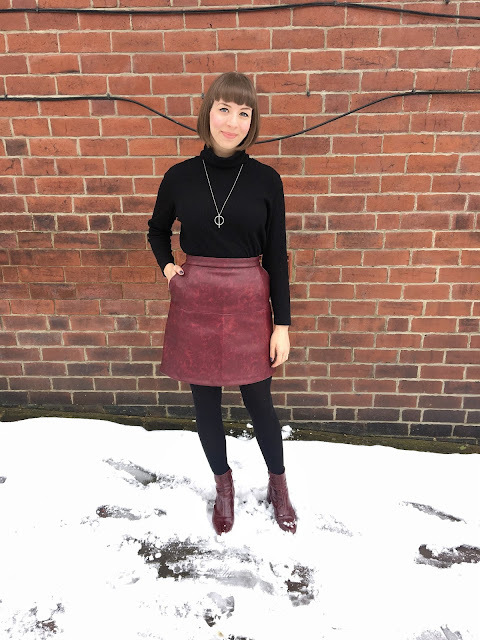 I found this amazing deep red faux leather (that couldn't be a better match for my new ankle boots) in Samuel Taylors in Leeds. It's medium-heavy weight and has a really interesting texture and mottled finish that's quite hard to capture in anything but the close up photos. 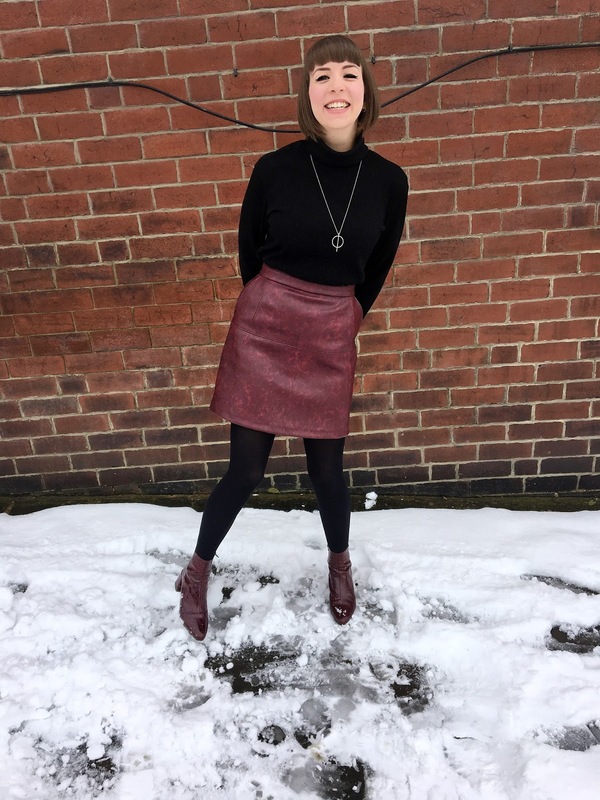 Best of all, the plain version of the skirt uses only 1 metre of fabric, making mine a total bargain (this was £9.50 p/m). 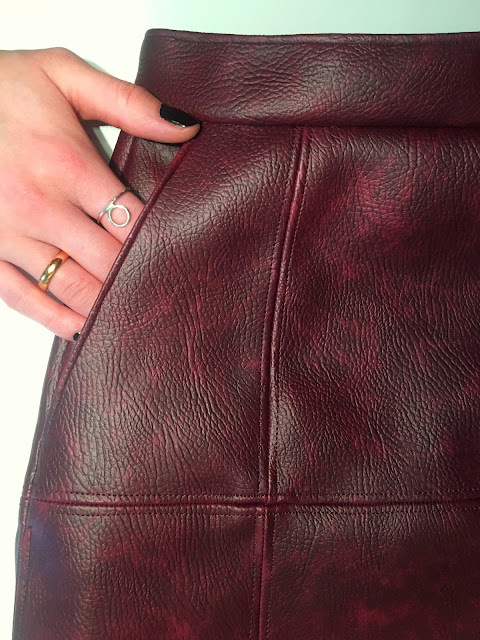 Cost and ease: It's a lot cheaper than buying the perfect piece of leather for your project, and often easier to source. 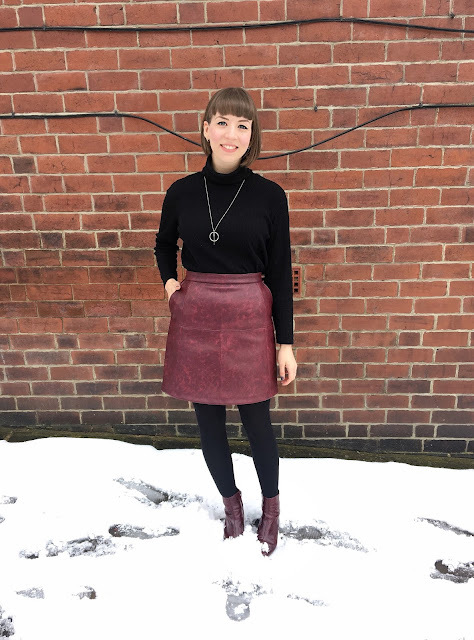 Limiting consumption: Whilst I'm not veggie/vegan, I do err on the side of caution with when it comes to using real leather. I would feel much guiltier about a sewing fail or unworn garment if it was made using animal products. Best for the tests: Pleather is perfect for giving a pattern a first go to check that you're happy with the fit and style and confident in the pattern if you're up for progressing to the real deal. 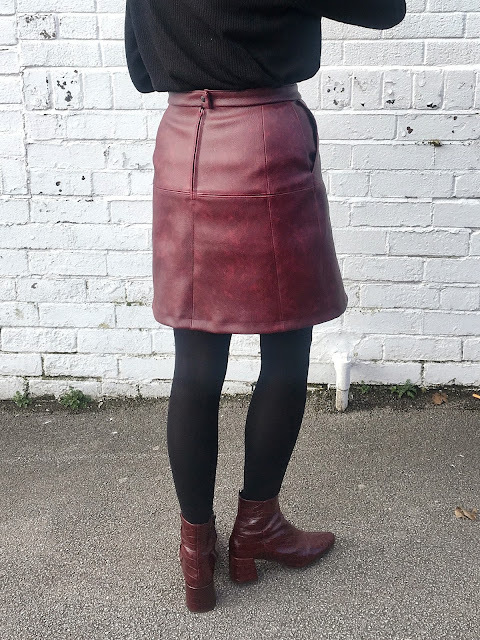 Pleather hacks - sellotape seams! I'm really pleased to report that the Juliette Skirt was a breeze to put together, despite a few difficulties with stubborn, bulky pleather. I used a walking foot and increased my stitch length as recommended for the topstitching. The crossing intersections of the skirt were a the hardest bits to stitch over, so I stuck a bit of tape over the seam allowances, which helped to reduce sticking. The topstitching is great for creating really crisp seams as pleather is so hard to press. I hand stitched the inside of my waistband as the bulk was too much for my machine - I really wanted to topstitch this seam too but unfortunately had to skip it. Overall though, I'm so pleased with the level of detail in the finish. I particularly like how the back has turned out. 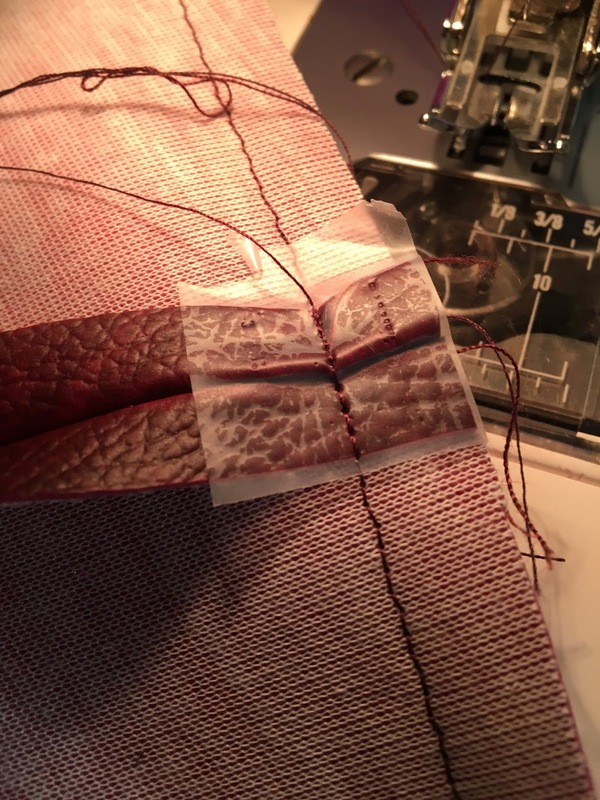 I'd never inserted a zip using this method before - grateful for the click-through tutorial in the pattern! - so it was cool to learn a new technique. It worked particularly well for creating a neat finish with a tricky fabric. I finished the top of my waistband with a Prym anorak fastening, rather than the recommended button and buttonhole - no way would that buttonhole/bulk be compatible with my machine! Also on the finish: the pattern is fully lined so no risk of sweaty pleather thighs (erghh) - I used a nice quality black crepe from my stash. Thanks to my boyfriend for his patience in the 3 attempts it took to get these pictures! The finished fit of the garment is perfect, especially the waistband thanks to those half sizes! 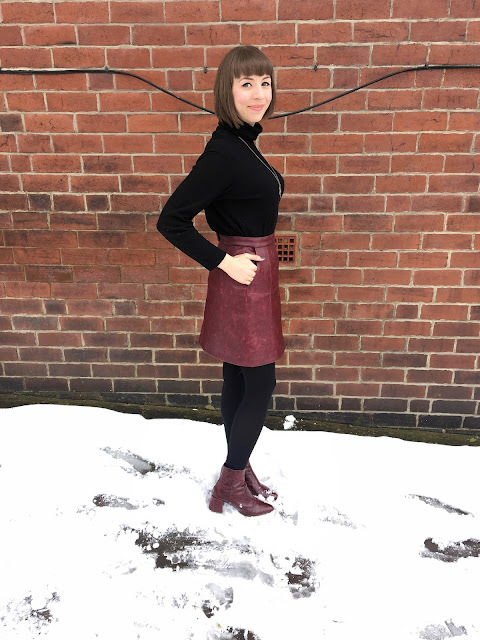 I found that the pockets gaped when I tried it on before joining the waistband (I have a narrow waist and quite curvy hips which probably explains this) but they were really easy to adjust and baste back in place. This is something that I fed back to Raphaëlle who has included a point in the instructions to check that the pockets lay flat at this point. 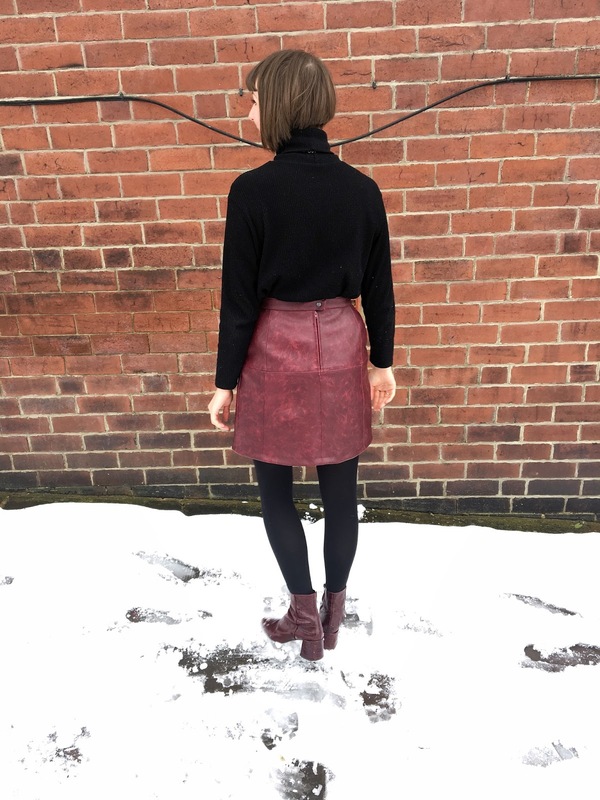 Raph has also gone above and beyond to offer an extra option of the Juliette Skirt without pockets too - helpful if you know they might be tricky to fit for you! Thanks again to Ready to Sew for allowing me to test it! Juliette is available now alongside the new Jeanne T-Shirt, Jamie Cardigan and Jim Dungarees. See here to pick up a copy! This skirt looks awesome. I love the colour and such a bonus that it matches your boots too! 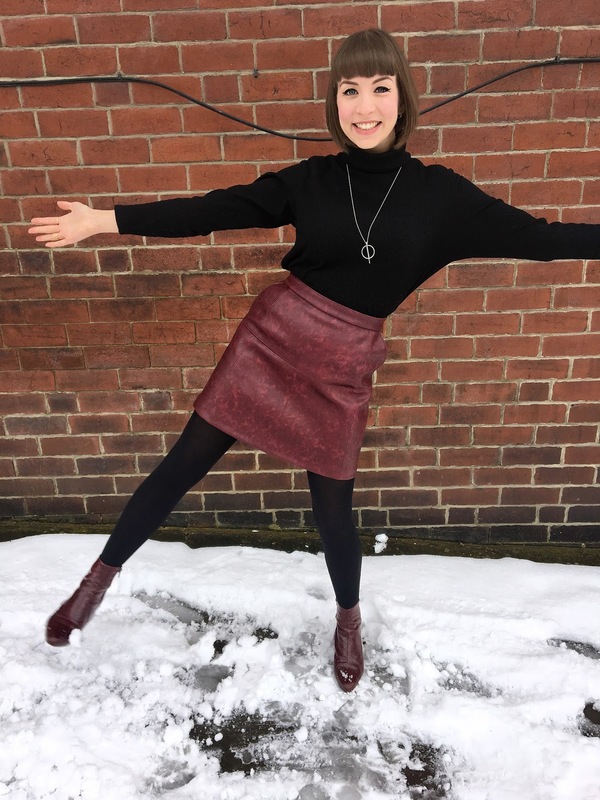 Looks great, Fabworks sell small pieces of leather, if you fancy a trip. Who would have thought about half sizes - brilliant! What a beaut!! It looks so tidy and professional.